Pentair WinterGard® Wet Raychem Self-regulating heating cable of length 250-ft, has voltage rating of 240-Volts and produces heat output of 6-Watt/ft. It offers convenient, reliable freeze protection. 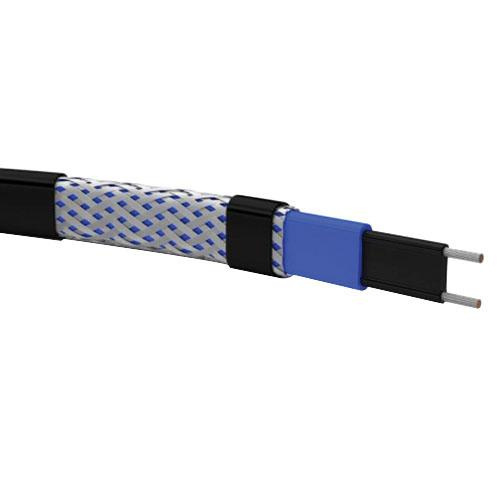 Cable features water-proof polyolefin outer jacket over metal shield and size 16-AWG bus wire. It measures 0.415-Inch x 0.215-Inch. This cable withstands temperature of up to 150 deg F. It is perfect for a wide variety of professionally installed residential and commercial water pipe and roof and gutter de-icing applications. Heating cable is UL listed and CSA certified.